Streamline and automate your accounts payable process. 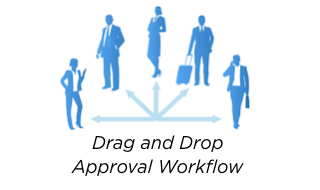 Efficient management of supplier invoices, contracts, purchase orders and employee expenses. Get visibility into payables, a seamless invoice capture system, and an automated approval workflow for both desktop and mobile devices. Data is intuitively extracted from both paper or emailed invoices. Paper is captured with 95%+ accuracy, electronic files 100% accuracy. Purchase orders, supplier invoices, and goods receipts are automatically matched. Exceptions are flagged and sent into an approval workflow with all the information necessary for the employee to clear the exception. Automated workflow to designated roles in the company. One-click approvals in email. Ad hoc routing without having to code. Have as many users as you want – no user license costs. Repeated invoices are matched to account numbers or contracts, posted to the proper charge codes and approved for payment. 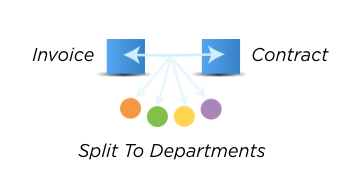 Split between departments where necessary. Invoices, purchase orders, and goods receipts are archived in the Cloud for searching, reporting, and audit trail. Includes all documents plus electronic messages between employees and vendors/suppliers. Seamless bi-directional integration with your ERP. For more on integration, click here. “Before… our invoicing system was labor-intensive and time consuming for staff. Automated processing has significantly increased our overall efficiency, shortened payment cycles and helped to improve the manageability of transactions.” – Emily Grantham • Landstar System Inc.